"Educating Gifted Students Since 1989"
The Weiss School is a unique private school located in the heart of Palm Beach Gardens, Florida that unleashes the full potential of gifted children in early childhood education through 8th grade. 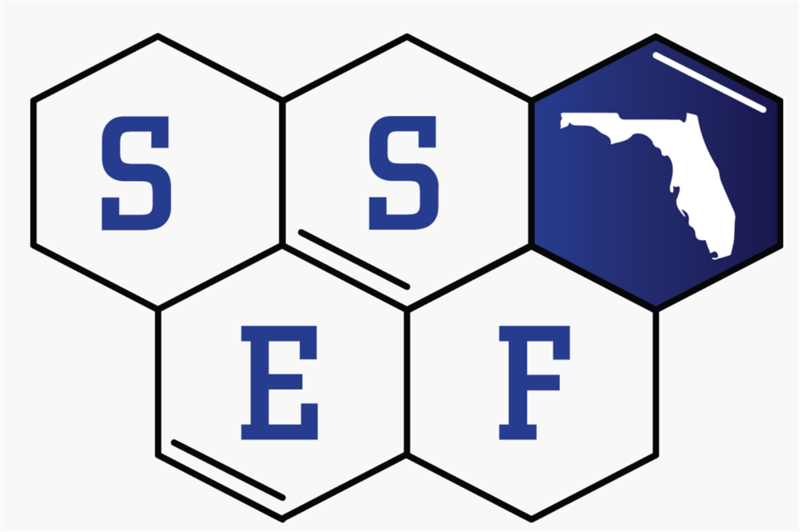 The Weiss School is fully accredited by the Florida Council of Independent Schools (FCIS), the Florida Kindergarten Council (FKC), and the Southern Association for Colleges and Schools (SACS). The Weiss School offers a full-time, gifted educational program that provides students with traditional core academic subjects and a broad array of elective courses to prepare them for the 21st century workforce. 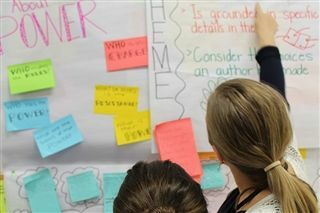 Following research-based best practices in gifted education, staff at The Weiss School educate gifted students by incorporating creativity, communication, and critical thinking skills across all areas of the curriculum. For the last 28 years, The Weiss School has been a national leader in developing academic programs that educate gifted students who have an IQ test score of 130 or above. 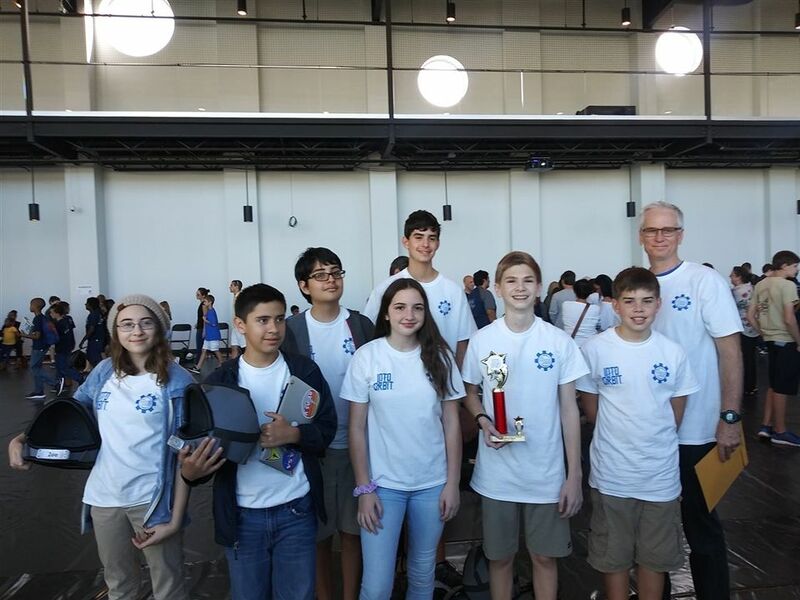 Weiss School students participate and are successful in numerous local, regional, state, and national academic competitions, which demonstrates the high-quality education that the Weiss School provides. 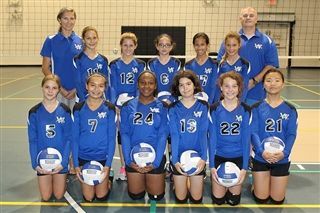 The Weiss School has competitive athletic teams in a variety of sports that provide students with an inclusive educational and social experience. The Weiss School is the only PreK – 8th grade school in South Florida exclusively dedicated to gifted education. The Weiss School is the only K-8 school in the United States that was selected by NASA to participate in the 2017 NASA CubeSat Launch Initiative. The WeissSat-1 CubeSat satellite was launched into space on December 3, 2018 via a SpaceX rocket. A 1:1 student to technology device ratio is provided in Kindergarten - 8th grade at The Weiss School. Each student in Kindergaten - 4th grade is provided with an iPad Air 2 and each student in 5th - 8th grade is provided with a MacBook Air laptop for school and home use to complete academic work. 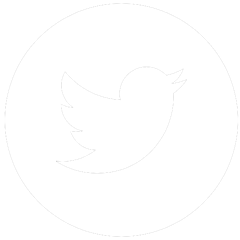 Albert Einstein Distinguished Fellows are part of a dynamic, experienced, and diverse PreK - 8th grade faculty certified to teach gifted children. Centers of Excellence provide all Weiss School students with comprehensive academic experiences in STEM, Social Studies, Language Arts/Speech & Debate, The Arts, Foreign Language, and Taekwondo. The average student to teacher ratio at The Weiss School creates small and engaging classroom environments that facilitate individualized learning for gifted students. Twenty-one different elective courses in a wide range of academic areas are offered to Weiss Middle School students to choose from each year. Elementary students participate in 10 different elective courses on a weekly basis that create diverse educational experiences.  All Weiss School student schedules are individually evaluated and crafted to the specific academic mastery levels of each student. Please join us in congratulating Mrs. Nikki Magnetico and Mr. Kevin Simmons for being selected as Dwyer Finalists. We are so proud of having TWO instructors selected from The Weiss School - Go Weiss Wolverines! 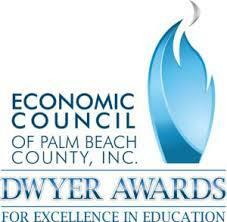 Please click here to read more about our two Dwyer Finalists. 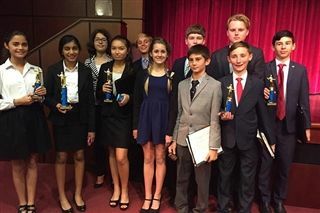 We are very proud of the three Weiss School students who competed in the 2019 State Science and Engineering Fair last week in Lakeland, Florida. Samer Elhoushy - 4th place, Alexa Ernce - 1st place and Russell Widder - 1st place. Alexa and Russell were also selected as two of the four middle school Grand Champions for the entire state. Alexa investigated pesticide effects on daphnia health. Samer looked at material degradation in the UV lunar environment and Russell analyzed nitinol hinges as a deployment mechanism for our upcoming lunar rover mission. Alexa, Russell, and Samer are all members of the Wolverine CubeSat Development and Public Policy Teams, and members of the AIAA Weiss High School Chapter. 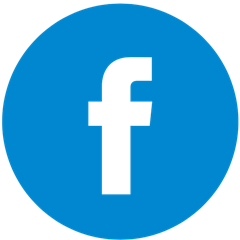 In the past thirty days they also called on Congress, presented at the White House Office of Science and Technology Policy, and learned NASA had selected us for a second time to build and fly a satellite in space. Go Wolverines!!! 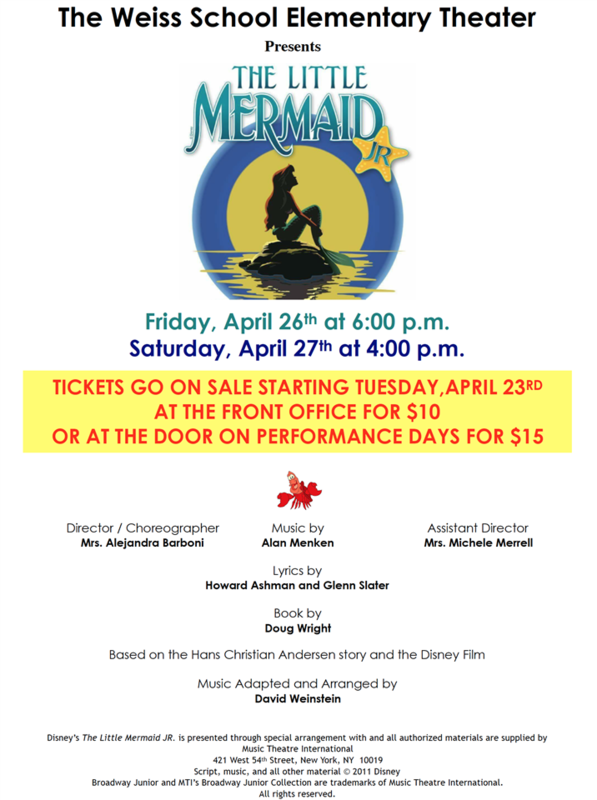 The Weiss Middle School Theater Presents "Freaky Friday"
The Weiss School Elementary Theater Presents "The Little Mermaid Jr."
Come out and support the Elementary Theater! 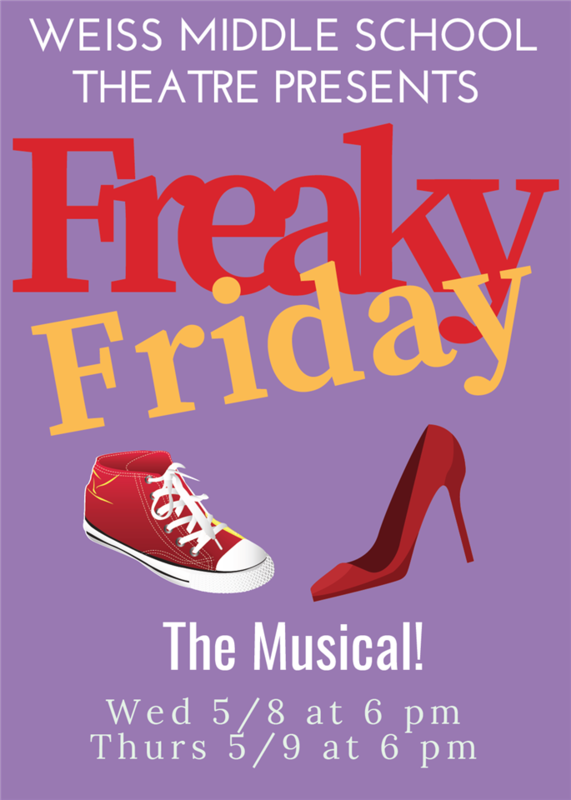 Tickets go on sale starting Tuesday, April 23rd at the front office for $10.00 or at the door on performance days for $15.00. An individualized education begins with a personal visit to The Weiss School. The Head of School and admissions representatives are available throughout the school year to schedule a tour of the school and have personalized conferences with parents and children. Please email ptripp@weissschool.org to schedule your tour and begin the journey of becoming a Weiss School family.